I won Music Photo of the Year in GAFFA Magazine Music Awards 2018! Anderson .Paak at Roskilde Festival 2018. Best Live Photo and overall winner of Best Music Photo of the Year in GAFFA Photo Awards. Holy moly! I just won Best Music Picture of the Year at the GAFFA Magazine Photo Awards 2018! I am speechless and my brain is spinning, I cannot believe it. I am so happy, so surprised and humbled by this. 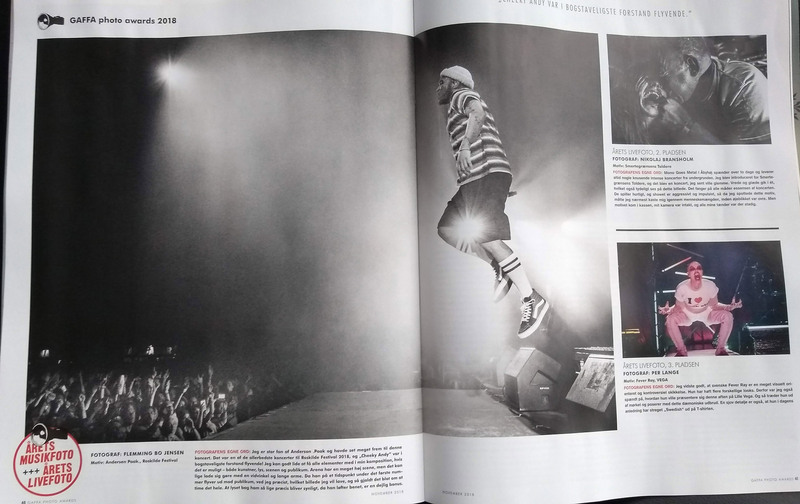 My picture of Anderson .Paak flying won Best Live Photo and also won the overall Best Music Photo of the Year! On top of that, my picture of the wonderful crowd from a Princess Nokia concert won Best Crowd Photo! Listening to music, being at shows and photographing music has for me taking on a different meaning this year. It is a way I have dealt with emotions and grief over the loss of my father. It is also a needed escapism at times. Music photography has become a deeper thing for me this year, and I have poured so many hours into it. This is encouragement to keep going for sure. 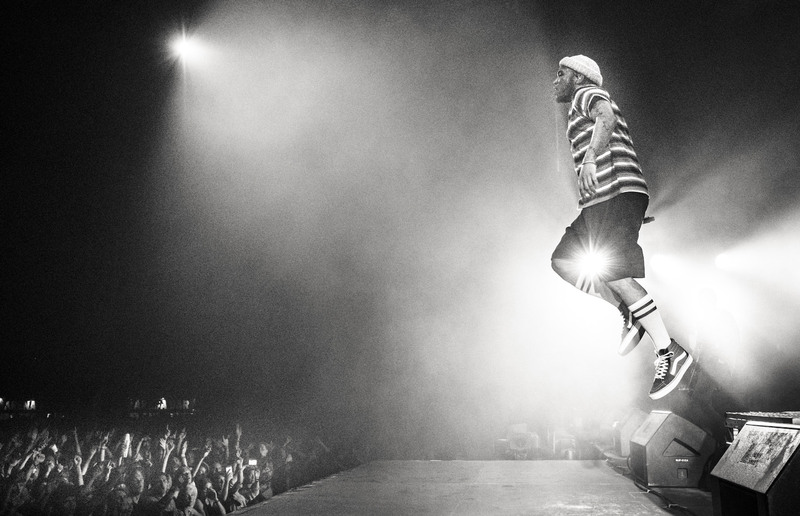 Anderson .Paak at Roskilde Festival 2018. Best Live Photo and overall winner of Best Music Photo of the Year at GAFFA Photo Awards. Fujifilm X-T2, XF16mm F1.4 lens. 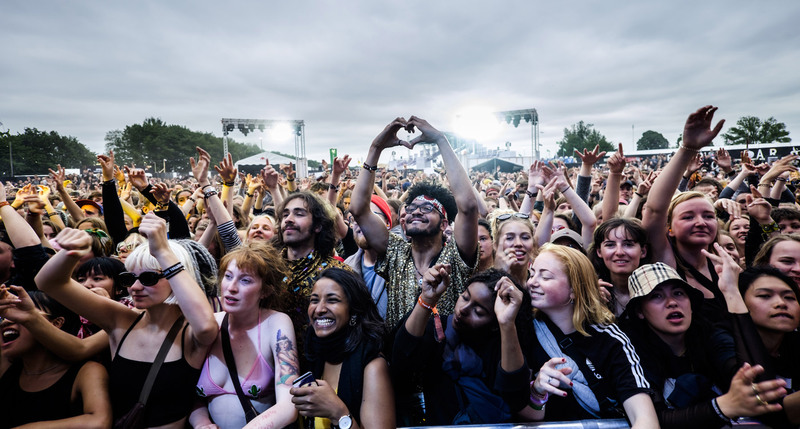 Crowd at Princess Nokia at Roskilde Festival 2017. Best crowd Photo at GAFFA Photo Awards. Fujifilm X-T1, Zeiss 12mm F2.8 lens. Two very big congrats on these awards. Well deserved, both are spectacular. Could not have timed the Paak shot any better with a hundred tries. Bravo!